Comic book hero Deadpool gets the Tokudai (Big) Plush treatment with a 40cm (15.74") plush toy where the crimson-clad mercenary crosses his arms to dovetail with his cross countenance. 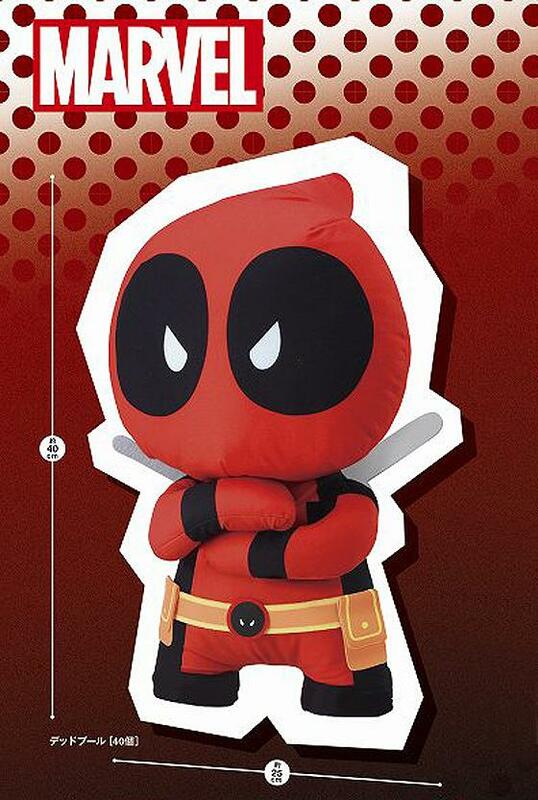 Big Deadpool is being distributed in Japan as a Premium Prize for amusement centers but NCS will import a few cartons for general sales. Preorders are welcome to ship in late November 2018.